So I guess I am on a helmet kick lately. I decided to shoot a Shark Evoline Modular Helmet Review. The Evoline has quickly risen to be one of our best selling helmets in 2009 and its not a surprise to us at all. ECE-2205 rated, the Evoline is the first Modular designed to be ridden long distances with the chin-bar either in the down or up position. 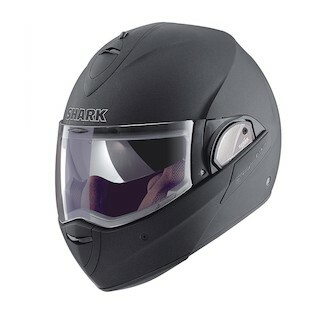 There are also a host of other features which round out Shark Helmet's latest and most aggressive offering. Available in 6 Colors in Sizes XS-XL - including Matte Colors.